Need a well-groomed medium-size sedan? 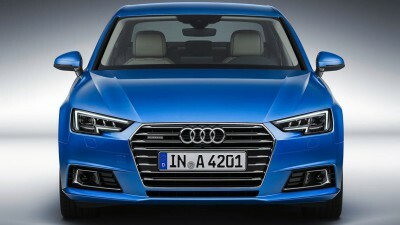 Audi has their brand new range of A4 models available now in Australia. Likely to be the most popular models, the larger 2.0-litre TFSI engines are excellent units that power the sedan with plenty of vigour; they are quiet, efficient and powerful. Don’t underestimate the smaller 1.4 TFSI Audi A4, as this car provides a sweet engine that copes with city work easily and sparkles on the open road. The design team have created an elegant and interesting design for the new A4, and the interior is comfortable and typically well put together. An agile sedan, the new Audi A4 provides a chassis that feels well controlled and comfortable over a wide variety of road surfaces. Opt for the sporty Quattro version, and the grip goes up a few notches, while the power delivery is entertaining. All of the new A4 TFSI models offer a well-balanced, secure connection with the road. Hop inside the new A4 TFSI interiors and the leg room is good, the cabin finish excellent and the luxury features first class. Every bit as good as a BMW, Jaguar or Mercedes-Benz, the Audi alternative is comfortable and modern. In all of the models, the front seat occupants will enjoy sports seats that are electronically adjustable. Leather is the standard upholstery, while the top of the range 2.0 TFSI Quattro comes with electric seats for the driver and front passenger that includes electric lumbar support and a memory function for the driver’s seat. There are extended packages for the seating for all the TFSI range. Options like heated front seats, Milano leather, and built in ventilation are some of the features that can be purchased at an extra cost. The three-zone deluxe automatic air conditioning with uniform diffuse ventilation on the front passenger side, a ventilated glove compartment and rear digital display is standard on all A4 models. For some infotainment, the model range gets the Audi music interface via a USB point including the Audi smartphone interface. The interface connects Apple or Android devices via USB to access approved apps via the MMI interface. Great musical sounds are a part of the standard Audi eight-speaker experience; however, there is a Bang and Olufsen 3D Sound System with 19-speakers and a total output of 755 W which is something special at an optional extra cost. The Bluetooth interface works very well and it’s easy to get in touch with friends, family and work related colleagues via the hands-free communication system available to all Audi A4 owners. A high resolution driver information system with a 7-inch colour display screen and MMI is standard across the entire TFSI range. If you need to keep the kids entertained on frequent long journeys, then you may like to consider purchasing the excellent rear seat entertainment system that includes one 10.1-inch Audi tablet screen. Buy any new Audi, and the high level of premium safety features ensure that you are travelling in one of the safer vehicles in its class. Each Audi A4 TFSI sedan has eight airbags, attention assist, auto emergency braking, radar senses, ESC, seat belt reminders and a tyre pressure monitor as some of the comprehensive safety features. The 1.4 and base 2.0 TFSI models are front-wheel-drive. Both of these cars accelerate quickly and share the same seven-speed S tronic transmission technology as the more powerful 2.0 TFSI Quattro version. Though small in size, the 1.4 TFSI packs 110 kW between 5000 and 6000 rpm and a maximum of 250 Nm of torque between 1500 and 3500 rpm. A high level of muscle is available quickly, so the smallest A4 TFSI sedan accelerates from 0-100 km/h in 8.5 seconds. The standard 2.0 TFSI model boasts 4-cylinder petrol power with direct fuel injection, turbocharging and the special Audi valvelift system, resulting in a brisk 7.3 seconds from 0-100 km/h. Top seed for this model is a credible 240 km/h. The Quattro 2.0 TFSI uses the same engine technology but has a boost in its power output to 185 kW and a jump in torque to 370 Nm. This is a fast sedan, with a limited top speed of 250 km/h. With nice lines and great engines, the new Audi A4 TFSI models will do well. For any more information on the Audi A4 TFSI or, for that matter, any other new car, contact one of our friendly consultants on 1300 303 181. If you’d like some fleet discount pricing (yes even for private buyers! ), we can submit vehicle quote requests out to our national network of Audi dealers and come back with pricing within 24 hours. Private Fleet – car buying made easy!